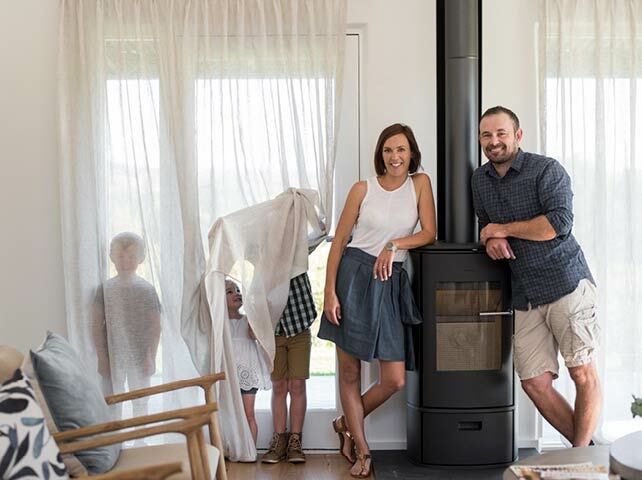 Originally from Melbourne, your hosts Andrew and Skye Quin settled in the Barossa Valley in 2008 after years of travelling and working abroad in Europe and the USA. Andrew was captivated by the Barossan big, rich, bold red wine styles and complex, textural white wines that the area showcases. Skye was charmed by the country lifestyle and the artisan food culture. Andrew and Skye Quin purchased Cambourne in 2014 to fulfil their dream of owning a quality Western Barossa Shiraz vineyard. They both fell in love with its prime location, the quality grapes, and the quirkiness and history of the cottage. They saw huge potential to develop a contemporary, high-end accommodation option for the Seppeltsfield Region. Andrew is a renowned and award–winning chief winemaker for Hentley Farm, and has been blessed to have found professional success and acclaim in his creative passion. His achievements include 2017 Barons of the Barossa Wine Maker of the Year; 2015 James Halliday Winery of the Year; Wine Society Young Winemaker of the Year nominee in 2013 and 2011. Skye is an Occupational Therapist by trade and has a passion for providing quality, customer focused outcomes to her clients. She has a strong interest in quality food and wine, and a developing eye for interior design. Andrew and Skye’s biggest achievement by far, are their three children – Edan, Jarrah and Bae. 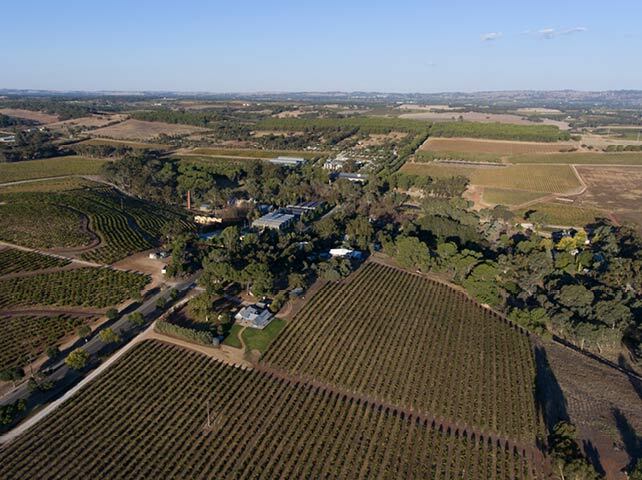 Cambourne’s 25 acre vineyard estate is located on the picturesque palm tree lined Seppeltsfield Rd. It is positioned directly across from the heritage listed gravity feed winery of Seppeltsfield, and has direct walking access to the acclaimed Hentley Farm restaurant and cellar door. Easily reached from the Sturt Highway, Seppeltsfield is located some 60 minutes from Adelaide CBD. 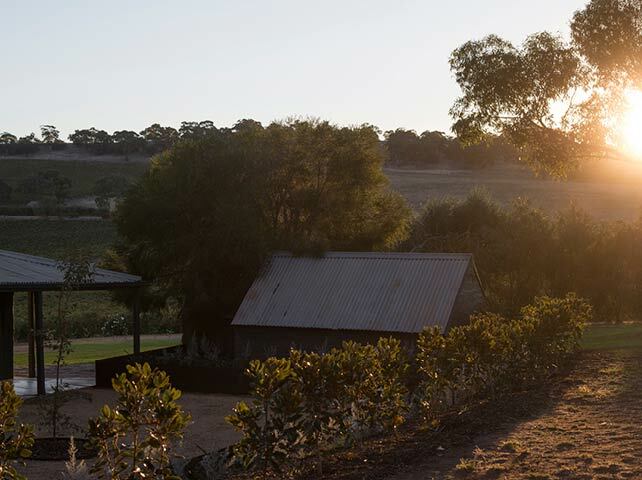 The Barossa is made up of 3 main townships and all are located within relative proximity to Cambourne – Nuriootpa (10 minute drive), Tanunda (12 minute drive) and Angaston (15 minute drive). Supermarkets and amenities are available in these townships. The smaller township of Greenock (5 minute drive) has a smaller convenience store available. The iconic palm lined road of Seppeltsfield in the Barossa Valley has a remarkable creation. In 1850, Jospeh Seppelt, an emigrant from Silesia, purchased 150 acres of land in the Hundred of Nuriootpa – naming it “Seppeltsfield”. His initial intention was to plant tobacco, however at some point, the family changed their business direction to grape growing and winemaking. The Barossa is located within South Australia. Summer Months (December – February) provide warm/hot conditions. The vines are lush and green with full canopies. Harvest usually commences in early February. Autumn (March – May) sees the end of the vintage season and brings with it vibrant colour changes as the vineyards start to drop their leaves. Winter (June – August) is generally cooler with the largest rainfall period. The mid rows of the vines and fields are a sea of green whilst the vines are pruned. Think roaring wood fires and glasses of shiraz. Spring (September – November) sees bud burst – the emerging leaf tips on the vines. The sun begins to show and warms the soul. Check-in time is 2pm. Check-out is 11am. Early check-in and late check out options may be available upon request. Cambourne Boutique Accommodation has full internet and mobile coverage. Complimentary wifi is included. English is the primary language spoken, however due to its significant German heritage, many of the locals can speak German. Australia uses the Type I Australian AS-3112, 240V. Travel adapters can be used.